871 days ago, as I was eagerly awaiting spending some quality time with the other contributors of this website in the days leading up to a certain wedding of the century, I watched Game 6 of the NBA Finals between the Mavericks and the Heat. The Heat had led the series two games to one, but Dallas had hung tough and somehow persevered through the next two games. Yes, it may have taken a LeBrick James collapse, the likes of which have not been seen in . . . well, 872 days, but it was still a great series. In Game Six, with Dirk recovering from flu-like symptoms, Jason Terry, Jason Kidd, and Puerto Rican Danny DeVito stepped up huge, the team shot 50 percent, and the Mavericks made this infamous moment funny for one last time. Who would have ever thought a team coached by Jim Carrey could have gotten so far? I watched the game with my dad, went home to my mom’s house, and celebrated like it was high school all over again – geeking out in my room, watching postgame highlights, very happy but oh so lonely. If someone had told me it would be 871 days before the Red Sox won the World Series and I would be this happy for a sports championship again . . . well, let’s just review the evidence. 2011 World Series, Game 6 (Cardinals defeat Rangers): Here’s the YouTube clip. No wait, I can’t. Can’t post this. Can’t watch this. So painful. I hate God’s Team. 2012 Super Bowl (Giants defeat Patriots): Can’t watch clips of this one either, but Gisele’s rant sums it all up. No, Tom can’t pass the ball and catch it at the same time. His receivers let him down. But fortunately, we got rid of those idiots Welker, Hernandez, and Woodhead and replaced them with Hall of Fame receivers Medula Amendola, some rookies, and Austin Collie. No worries there. 2012 NCAA Championship (Kentucky defeats Kansas): Calipari avenges his 2008 championship game loss to Bill Self, as Wildcat players score more points than their combined SAT scores. That is, the scores the reported. Mass St. (and the Saltz household) is silent and everyone goes back to school the next day. 2012 and 2013 NBA Finals (LeBrons defeat Zombie Sonics and Spurs): Didn’t watch too much of either of these series. In fact, during Game Seven of the Spurs series, I left midway through the game and went to go see Now You See Me. Why couldn’t the magicians in that movie transport me away from this agony? 2012 World Series (??? defeats ??? ): Don’t remember it, couldn’t have been worth watching. Truthfully, baseball doesn’t really get watched when the Red Sox lose 93 games. 2012 and 2013 BCS Championships (Alabama defeats teams not as good as Oregon): Like the NBA Finals, I didn’t watch much of these games. It did give me time to plow snow out of the driveway, scrape ice from the car windshield, read for class, and catch some excellent January releases such as Ghost Rider:Spirit of Vengeance and Movie 43. So, in other words, the time period between June 12, 2011 and October 30, 2013 left plenty to be desired in the area of my sports teams’ success in championships. This doesn’t even account for every freak New England Patriot injury, every Jayhawk March Madness collapse, and every freakish St. Louis Cardinals comeback victory. I don’t claim to be more cursed than all over fans, but I’ve had my share of bad, rotten fortune. In fact, the only three things that gave me any sort of happiness were, in order: (1) Discovering and plowing through the entirety of Breaking Bad, (2) Seeing Obama reelected, and (3) Going to Las Vegas with Todd and winning $100 at blackjack in the Party Pit at the Excalibur. Yes, it’s been that kind of two-and-a-half years. 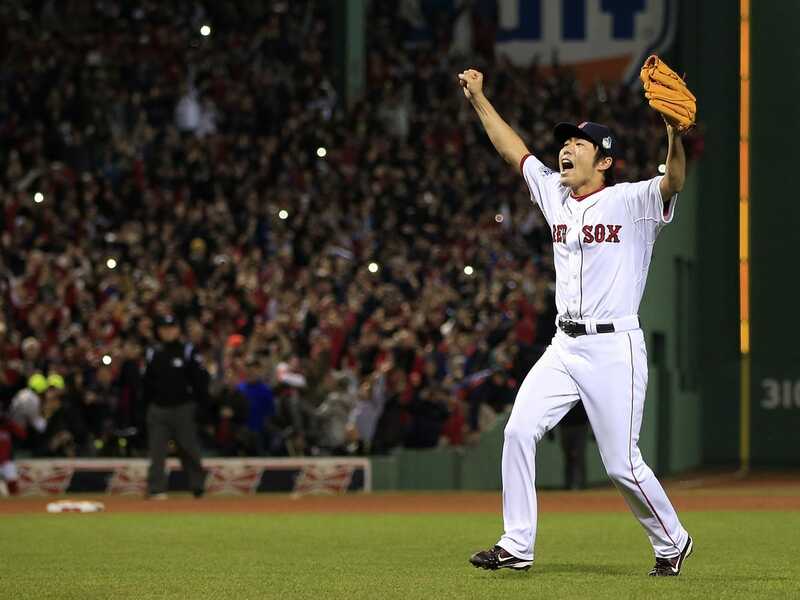 That’s why seeing the Red Sox win the World Series last night was so simultaneously thrilling, exciting, unexpected, wonderful, and genuinely cathartic. I needed a sports cleansing more than John Travolta needed a shower by the end of Battlefield Earth. I needed a reason to restore my faith in professional sports (and the world in general) again. I needed a reason to laugh and leap up from my chair and lose my voice and get told repeatedly by my wife to stop talking about the freaking World Series already. 1. It was unexpected. Between the final four weeks of the 2011 season and the beginning of this season, the Red Sox were a combined 76-113. During that horrific 189 game stretch, Boston went through three managers; endured major, potentially career-altering injuries to Papi, John Lackey, Jacoby Ellsbury, Andrew Bailey, and Clay Bucholz; and saw some of its most instrumental 2007 heroes (Josh Beckett, Daisuke Matsuzaka, Kevin Youklis, Jonathan Papelbon) leave the team under bitter circumstances. The players and the fans revolted. The beer and fried chicken were finally removed from the clubhouse. The payroll situation was a mess in 2012, and many speculated that the 2013 contracts given to Mike Napoli, Shane Victorino, and Johnny Gomes were wildly excessive. Papi was 37, Lackey (recovering from Tommy John surgery, a messy public divorce, and an ERA of 6.75 in the final two months of ’11) was 34, Napoli was 31, and Carl Crawford, Adrian Gonzalez, Kevin Youklis, and Cody Ross were gone forever. John Farrell had a .475 winning percentage as manager of a talented Blue Jays team (a squad who some misguided observers predicted to win the AL East). With everyone talking about Toronto, Baltimore, Tampa, and the Yankees, no one thought the aging, unhappy, injury-prone Red Sox could amount to a hill of beans. 2. It was unpredictable and sometimes tumultuous. No one remembers this, but most of the Red Sox buzz going into the 2013 season surrounded rookie phenom Jackie Bradley Jr. and Joel Hanrahan (that gives you a good indication of how little Boston fans really expected). A 20-8 start was overlooked in Boston due to the tragedy of the Boston Marathon bombings. Then the roof began to fall in and doubters began to strut their fatalistic forecasts. They went 8-12 during a three week span in May which included Tito Francona’s return to Fenway (a 12-3 shellacking by the Indians). Then, disaster struck: On June 9, Bucholz (who led the league with 9-0 record and 1.71 ERA) reported a strain in his neck, and he was put on the disabled list until September. The rest of the pitching staff played well, but not exceptional. Bucholz’s nine wins were, incredibly, the best on the team until Lester got his 10th victory on July 28. Ryan Dempster won one game between June 25 and August 30, Lackey went through a stretch where he was 2-7, and Jake Peavy’s acquisition did not exactly give Red Sox fans confidence (especially after they had to give up the defensive excellence of Jose Iglesias to AL rival Detroit). It was the offense that excelled, however, and a rejuvenated Ortiz had his best season statistically since 2007, according to WAR. 3. Their postseason play was thrilling. Boston first dismantled the frisky Rays, a perennially strong division rival that had their eye on the Red Sox ever since they erased the Sox’s five-game division lead in July over a span of only two weeks. Boston throttled Tampa aces David Price and Matt Moore, giving them both losses and ERAs above 9.00. Then, in the ALCS, the Red Sox faced the defending AL Champs Tigers – a team with the league’s best starting pitchers (Justin Verlander, Max Scherzer) and best hitters (Miguel Cabrera, Prince Fielder). After managing one run and only a handful of hits in the first 16 innings of the series, the Sox grabbed victory from the hands of defeat with Papi’s series-saving Game Two grand slam (it’s hard to see them taking four of the next five from Detroit without that home run). Victorino’s grand slam in Game Six was as improbable as it was thrilling. And then, there was the World Series, where the bats of both teams seemed indeterminately stunted. When St. Louis took a 2-1 lead after the controversial Game Three finish, it seemed like the series might not even go back to Boston. But Papi, Lester, and opportunistic hitting once again saved the day, and last night, when the series returned to Fenway, true fans knew that the outcome was never in doubt. Maybe this sounds overly reactionary, but I can’t really think of many better recent stories in sports than the 2013 Red Sox. How many times does a team go from worst-to-first with a majority of new players and a new manager? How many times has a team had to win back fans after scandal and controversy tore that team apart? How many times has a team defeated the league’s two best teams (according to SRS), including four road wins, en route to its third championship in ten years? How many times has a team gone 95 years between clinching a title at home? I will always remember three things from this season’s 2013 Red Sox and their incredible postseason run. The first thing (whether I like it or not) will be that insane play that ended Game Three. Let’s touch on that for a second. When I first saw the play, I was understandably furious as a Red Sox fan. How could a judgment call like that end a critical World Series game? How could obstruction be called when Craig initiated contact with Middlebrooks by putting his hands on him? Wasn’t Middlebrooks about two feet off the baseline, creating a clear path for the runner? And (the question that everyone asked), what is Middlebrooks supposed to do? Now (and I understand this is 100% convenient and with the luxury of hindsight), I look back on the play as another element that makes baseball great. How insane was that? Could any other sport really offer an ending that unique, controversial, memorable, and just plain weird? Plus, had obstruction not been invoked and Boston had won Game Three, the series would not have gone back to Boston. The second thing I will always remember is Ortiz’s insane postseason batting (.668 BA, 1.188 SLG vs. the Cardinals). I never thought a player could eclipse Barry Bonds’ numbers in the 2002 World Series (.471 BA, 1.294 SLG vs. the Angels), but Ortiz proved me wrong. Papi left the most indelible image of the 2013 MLB postseason, made a celebrity out of Officer Horgan, and won a truck that proved He’s Strong. Let’s pray to Jesus he’s not taking steroids. 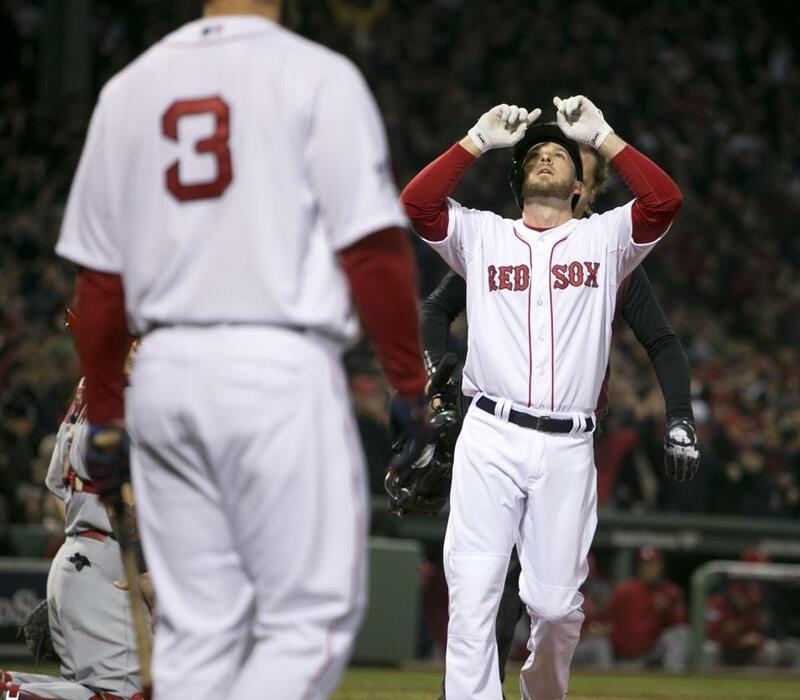 The final thing I will remember is Stephen Drew’s home run in the fourth inning. Why? Drew had a fantastic World Series defensively, making incredible throw after incredible throw. He’s never been an All-Star or Golden Glove winner (he’s mostly been AWOL since he left the Diamondbacks), is the brother of the most hated Red Sox player of the last decade, and was in the midst of a historically awful offensive postseason performance (going into Game Six, he was in the middle of a 4 for 50 slump in October. Yes, you read that stat correctly: 4 for 50). If you know baseball well enough, you know it’s a zero-sum game. You know that historically bad slumps like Drew’s are just as freakish and ephemeral as historically great streaks like Ortiz (who struck out and had three walks last night). You know that at some point, those slumps have to end (it’s the same logic that was used to understand the logic behind Aaron Boone’s home run). The game is karmic and circular and mysterious. Therefore, Drew had to end his slump at some point, and he did so at the most opportune moment possible. The Red Sox led 4-0, Michael Wacha’s improbable postseason success was over, and fans began to count down the remaining innings. I was so happy for Drew, and I was happy that I had known that it had to happen at some point. Just like this Red Sox teams and sports in general, I suppose. At some point, losing and heartbreak has to come to an end. The 2013 Red Sox reminded all of us of that. What an interesting choice to host SNL at this junction. There has been a solid start to the new season with the new cast members, but there has been a tendency to bring in hosts that have nothing to promote. I find this as refreshing because the people that are there are fully committed to the show and want to be there to have fun. Insert Edward Norton, the first first-time host of the season. It's amazing to think that he has never hosted with the heights his career has seen. 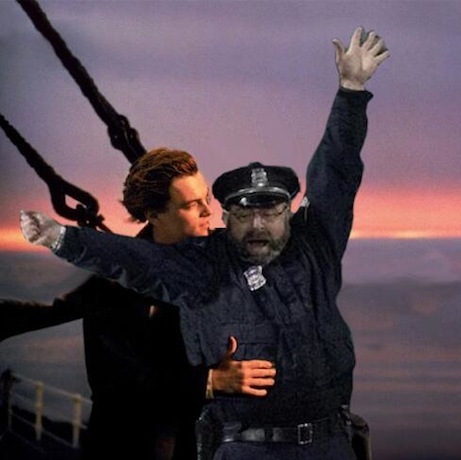 This may be because of Norton's tendency to take himself too seriously (he even hints at as much in his monologue), but the man can act no matter what he is doing. He shows that in this episode as he simply becomes another player in the cast of characters. However, absent from this episode was any sketch that poked fun at Norton's own career which is usually a standard, especially for a first time guest (or a long-absent guest like Bruce Willis, he had two sketches that directly attacked him). Maybe this shows that Norton still takes himself too seriously, but not seriously enough to get a little goofy live from New York. With the government shutdown over, it was going to be interesting how they would address it as this would likely be the place they would talk about it. Instead of talking about it directly, they instead took a dig at ObamaCare and the failures of the Health Care website. I guess they are trying to prove they are still non-partisan. It was still pretty funny. 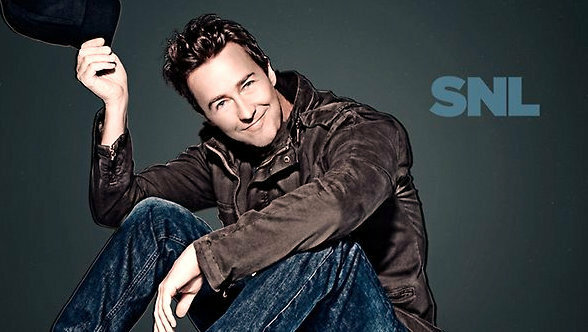 What has taken Edward Norton so long to host the show? As he puts it, he has been preparing ... for the last 13 years or so. He wanted some advice for his first time so he turned to two people: the most experienced host, Alec Baldwin, and the best host so far this year, Miley Cyrus. What we learned, Edward Norton is pretty awesome at impressions. More on this later. If there was one criticism of this episode, it was the simple fact that everything felt really short, including Weekend Update. There was only one featured performer this time around after there were two or even three so far this year. It was funny though, as Anthony Crispino makes his return as the second-hand news reporter. I'll admit, I haven't seen much Wes Anderson, but I have seen enough to know why this sketch is hilarious. First off, Edward Norton has the best Owen Wilson impression I have ever seen (Tom Hiddleston, eat your heart out). Second, it gets the Wes Anderson quirkiness down perfectly. Thanks to Alec Baldwin, we have the perfect narrator to go along with it. This was the hardest spot to figure out this week. There weren't any legendary sketches, but there weren't really any swings and misses either. Norton fit in perfectly and always seemed to create the perfect character to make the sketch work. Some people might say the worst sketch was Norton's take on Rain Man (which I couldn't help but love), but for me, the closest thing to a miss was their parody of the critically-acclaimed film 12 Years a Slave. In this version, the title is 12 Days Not a Slave, where Jay Pharaoh is enjoying his freedom and wondering why everyone is still all bent out of shape when it's already been two whole weeks since the slaves were freed. It's a fairly funny bit, but honestly what makes this one the lowest of the night for me is the fact that Norton wasn't the main character. I have no idea why, but the last sketch of the night was one of those that grew on me to be one of my favorites of the whole episode. Edward Norton is a weird, eccentric guy walking us through his stash of Halloween candy he was handing out this year. As soon as I saw Bobby Moynihan in the corner, I rolled my eyes and started tuning it out. However, the more ridiculous and random everything got, the more I found myself laughing and loving it. Edward Norton is probably my favorite host of the season so far. His episode wasn't the best, Miley holds that title still, but I sure hope they have Eddy back soon and continue to let one of the most talented actors we have right now play in the actor's playground that is Saturday Night Live. What a crazy year of college football so far! We are in the last year of the BCS, and although most of these undefeated teams are probably going to lose before the end of the season, almost everyone is really wishing we had a playoff this season. Over the last week since the first BCS standings came out, I can't stand everyone saying it is the perfect year for a 4-team playoff. If everyone wins out, we have 7 undefeated teams. Under the current system (and even next year's 4 team playoff system) there are about 3/4 of the teams in college football FBS that have no chance of winning the national championship. There is even a chance that an undefeated SEC team is left out of the championship game this year. This system has got to stop. My favorite solution is the Holiday Madness, a 16-team playoff based on the March Madness bracket for college basketball. Every one of the ten conference champs gets an automatic bid, leaving room for 6 at large teams. This allows all that survive their rigorous conference schedule to have a shot at the top prize. It would make for an amazing month of football that we have never seen before. Now that we have a BCS standings, let's see what our bracket would look like. UCLA - They were the dark horse team of the nation that could ruin everything. After they were manhandled by Stanford last week, they lost their undefeated status. A couple huge wins ahead of them could still vault them into the top 16. LSU - It's looking like they have an offense for the first time in a very long time, but the defense has been lackluster (like most SEC defenses). Last week's disappointing loss to Ole Miss dropped them from a solid top 10 team to outside our bracket. Ball St. - They only have one loss and are currently undefeated in the MAC. They have a big game coming up against Northern Illinois that could determine the MAC title and the automatic bid for that conference. Rice - Conference USA has not been that strong this year, but Rice is currently a very close second for the conference lead. They could easily end up with the conference title by the end of the year. Their game early against Texas A&M shows they can be a challenge for a top team in the nation. 16. Louisiana-Lafayette (Sun Belt Leader). The Sun Belt is by far the worst conference in FBS this year. Lafayette is the only school still with an undefeated record in the conference. They wouldn't stand much of a chance, but they deserve the shot if they make it through their conference. Most of the strong teams from this conference have been poached by the bigger conferences. Tulane is leading the way now. As conference play marches on, this could easily be the team that pulls away with the whole thing. Now we are getting into the fun. UCF defeating Louisville last week was not just an upset, but it vaulted UCF into a two game lead over Louisville in the conference. People forget UCF only has one loss, which was fourth quarter comeback by South Carolina. They are definitely a team to be reckoned with. 13. Northern Illinois (MAC Leader). I totally expected a slight recession from the Wolfpack this year. However, they seem to be even better now than last year's Orange Bowl team, and Jordan Lynch is completely unstoppable. 300+ rushing yards as a quarterback?!? I don't want to play them. 12. Fresno St. (MWC Leader). I don't want to play them either. This undefeated team led by Derek Carr, one of the hottest QB's in the nation, has been on fire so far this year. The Mountain West isn't as good as it has been in the past few years, but it would still be impressive to go through that conference undefeated. 11. Auburn (AT LARGE #1). No one thought much of them until they beat Texas A&M this last weekend. Now they are a fast riser up the charts with only one loss on the schedule to LSU. Let's think about the strength of the SEC right now. Auburn is almost a top 10 team simply for beating the Aggies and being in the SEC, however they almost lost to Washington St. the first week of the year, a middle of the road Pac-12 team at best. Tennessee beat South Carolina. The Volunteers were destroyed by the Ducks. The SEC doesn't deserve the respect they have this year. 10. Texas Tech (AT LARGE #2). They might be the quietest undefeated team out there. Kingsbury has resurrected the Red Raiders to the Mike Leach days after helping Johnny Football win his Heisman last year. They have started two true freshmen at QB this year. They have been impressive, but it will be a miracle if they finish the year undefeated. If they do, you try telling them they don't deserve a shot at the championship. 9. Clemson (AT LARGE #3). This was supposed to be their year, but thanks to the Seminoles it's just another season of what could have been. Even with the one loss, they would still make my bracket though, and be a team no one would want to face. 8. Baylor (Big 12 Leader). This might be one of the teams that would be most feared in a playoff like this. They are the only team in the nation that could outscore anyone, even Oregon. The fact that there are two Big 12 teams that are currently undefeated and this is their highest rank is a joke and shows why this system is broken. The Baylor/Texas Tech game should be fun. 7. Miami FL (AT LARGE #4). Somehow the Hurricanes have found themselves undefeated a this point in the season. With the news coming down this week that there will be no bowl ban, it would be quite the story to end up undefeated. They have to get through Florida St. though. 6. Stanford (AT LARGE #5). Their recent loss to Utah was devastating, but being the highest ranked one-loss team still gives them the opportunity to get into the top two. A win against UCLA last week shows just how dominant they can be. They just have to do it against Oregon now. 5. Missouri (AT LARGE #6). Thanks to the dissolving of the WAC, we have a sixth at large spot this year. Missouri is an interesting case and the perfect example of SEC bias. They went from 25th to 5th in the rankings in two weeks beating Georgia and Florida who are both under-performing. Their starting QB is out for the regular season. It will be a miracle if they finish the year undefeated. They could mess everything up if they beat Alabama in an SEC Championship game, undefeated or not. 4. Ohio St. (Big Ten Leader). They keep getting disrespected in the polls and the media for being from the Big Ten, but undefeated is undefeated. Not only that, but Urban Meyer has yet to lose a game as the Buckeye head coach. They deserve more respect, and it will be shame if they don't get a shot at the ultimate prize after these two seasons. How are they third?!? They have been the most dominant team in the nation so far this year. Their most competitive game was with Washington where they won by 21. They are destroying every team in the best conference in football. The only reason they are third in because the east coast never stays up to watch them play. 2. Florida St. (ACC Leader). If Oregon is the most impressive team, then Florida St. really has to be second. Famous Jameis has single-handedly brought the Seminoles back to a place they haven't been since the 90's. They still have a couple more obstacles in Virginia Tech and Miami to get passed. With the way they've been playing, there should be no problem. It's hard to argue with the two-time defending champion that is still undefeated being the number one team. They have moments when they look vulnerable, while sometimes they look like a soon-to-be three time defending champ (like last week). Let's see if the Tide can roll again. #15 Tulane at #2 Florida St.
#13 Northern Illinois at #4 Ohio St.
Now how does that week of football sound? Yeah, I thought so too. NOTE: There will not be an official write-up next Sunday. I will be taking my talents to Las Vegas, but I will have MY TOP 25 updated at some point before the games start the following week. 25 (NR). 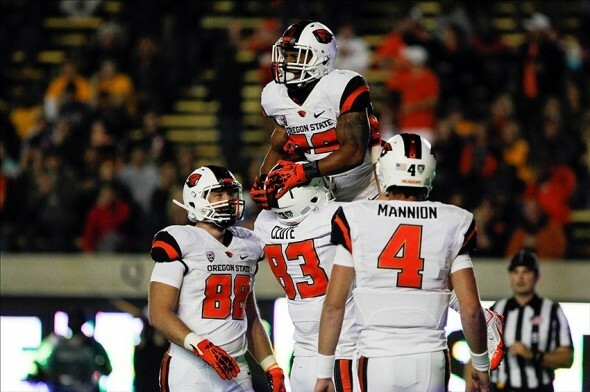 Oregon State (6-1) – Since that loss to Eastern Washington to start the year, this has been one of the best offenses in the country. I do not know too many out-of-state offenses that can keep up. 24 (NR). Arizona State (5-2) – They had an impressive stomping of a now dejected and unraveling Washington team. They continue to give glimpses of being a real threat, but then they go and screw it up the next week. 23 (25). Michigan State (6-1) – They had one of the ugliest and most uneventful wins that any team has had this year. How are they 6-1 with that putrid offense? 21 (22). Northern Illinois (7-0) – They keep winning and giving up huge numbers to terrible teams. They aren’t crashing the BCS party with Fresno still undefeated, but they are fun to watch. 20 (NR). Wisconsin (5-2) – Without that strange ending against Arizona State, this team would probably be in good position for a BCS berth. 18 (NR). UCF (5-1) – In what was one of the more entertaining games of the season, UCF pulled off a stunner. Everyone seems to forget that they were leading for the majority of their sole loss to South Carolina too. 16 (9). LSU (6-2) – Mississippi finally got the big win after a few weeks of disappointment. They always play LSU tough. The Tigers are still one of the better teams in the conference. 15 (NR). Auburn (6-1) – The Tigers pulled off an impressive win against the Aggies. Malzahn definitely has the offense going, but they are going to need some sort of defense to really compete with the rest of the West. 13 (20). Oklahoma State (5-1) – This is one of those teams that I cannot really get a read on. They lose to West Virginia, and then they look strong again. They bench their starting QBs in the middle of games. I don’t know. 12 (4). Clemson (6-1) – Clemson is going to have to lick their wounds after that thrashing they took at home by FSU. They have a tricky game at Maryland coming up. 11 (14). Fresno State (6-0) – This offense seems like it will not even be slowed down this season. They are a juggernaut in a slightly down MWC. 10 (7). UCLA (5-1) – The Bruins were beyond disappointing against Stanford. They are going to have to get right back on the horse with Oregon looming. 9 (18). Missouri (7-0) – I hate Missouri. They are going to coast through a banged-up SEC schedule, and they do not even have to play LSU or Alabama. Disgusting. 8 (12). Miami (6-0) – The Hurricanes avoided an ugly loss on Thursday night to keep our hopes of another undefeated matchup in a couple weeks in Tallahassee. 7 (13). Texas Tech (7-0) – I do not really get this team. They never look good. Somehow they just keep trucking along with a confidence that they should not have. 6 (11). Stanford (6-1) – The Cardinal just outplayed and overwhelmed UCLA. That loss at Utah is going to look more and more confusing as the season goes along. 4 (5). Florida State (6-0) – With the most impressive win of the season, the road team just smashed the hopes of Clemson early. This team looks like a National Championship team. But guess who is next week…NC State. Last year’s upset special. The maturity of their phenomenal freshman QB will be tested. 2 (2). Alabama (7-0) – The Tide defense has finally calmed down, and now they are just murdering the competition. How does that taste Bielema?! 1 (1). Oregon (7-0) – They had another huge offensive showing, while their starters only played a couple quarters. They are going to be fresh for UCLA next weekend. 5. Sean Mannion, QB, Oregon State – He has had an absolutely ridiculous season. Everyone knows they are going to pass, and you just cannot stop it. 4. Johnny Manziel, QB, Texas A&M – He is the best player in the conference that everyone hails as the best. He is going to get the votes. 3. Jordan Lynch, QB, Northern Illinois – He is going to have the stats that will look overwhelming to any voter. How can you leave this guy off the ballot? 2. Jameis Winston, QB, Florida State – He is looking like RGIII in his Heisman year. This kid has it all. Next year, son. 1. Marcus Mariota, QB, Oregon – Unless his team somehow trips up this season, he is going to run away with this award. What did you think of this crazy weekend? Which upset was the best? Which player had the most absurd offensive day? How do you think the BCS Rankings will shake out? Let me know!